Feeling fatigued, stressed and overall just over it?… You need Isagenix Ionix Supreme! Full of vital vitamins, minerals and adaptogens to help dramatically reduce stress and fatigue all combined into one supercharged formula. Available in both liquid and powder form. The powder can be enjoyed as a delicious tea or mixed with cold water, while the liquid can be enjoyed as a shot by itself. Buy Isagenix Ionix Supreme or add it to your next autoship. You’ll feel the difference in just a few days! All first orders come with 30 day money back guarantee! Further info here. You will notice increased energy with this perfect pick-me-up. 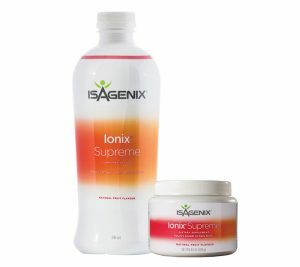 Isagenix Ionix Supreme’s latest formula features a higher concentration of bioactives for optimal health. Isagenix Ionix Supreme has the option to come in a canister as powder form or a liquid form in a bottle, both offering the same amount of servings and health benefits. 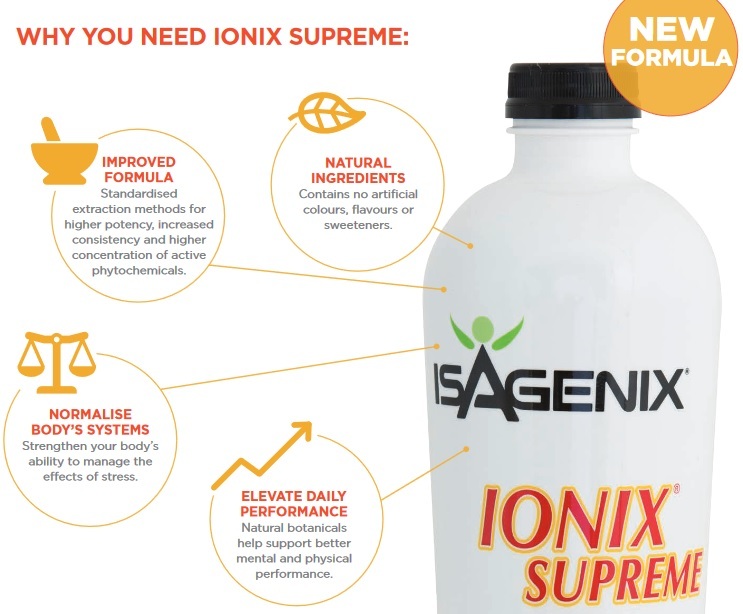 What are the Ingredients in Isagenix Ionix Supreme? For more information about Ionix, or any of the other Isagenix products in general, contact Nicole at info@isaelite.com.au or call her on 0413 254 398. How Can You Buy Isagenix Ionix Supreme? Remember, if you are not completely satisfied with your Ionix Supreme you can send it back for a full product refund. All products for your first order are covered by a 30 day money back guarantee, you have nothing to lose but body weight! Full details can be found here.